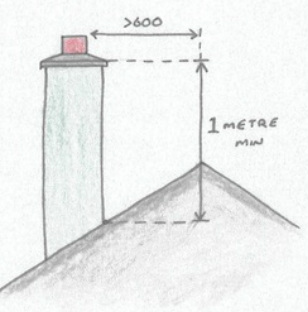 When the chimney stack meets roof level, it is essential junction between the chimney stack and the roof is properly sealed to exclude moisture penetration. A DPC tray is built into the block work of the chimney to prevent moisture from soaking down through the block work. The back gutter is fitted to carry water from behind the chimney. It is installed to ensure that the lead flashing wraps around the tilting fillet and is overlapped by the roofing underlay. 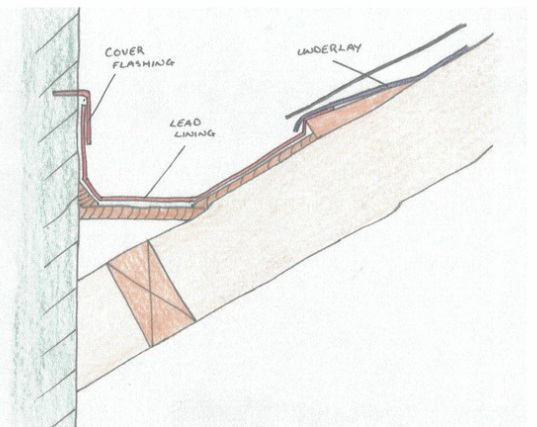 The lead gutter lining is then overlapped by the cover flashing of the chimney stack. 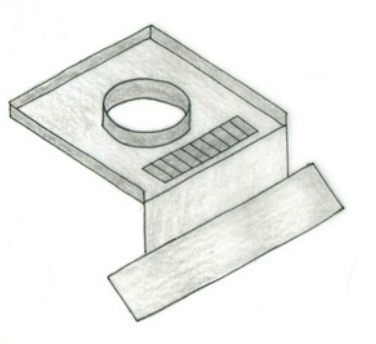 The positioning and height requirements for a chimney ensure that a sufficient draw of air (or ‘pull’) can be achieved. 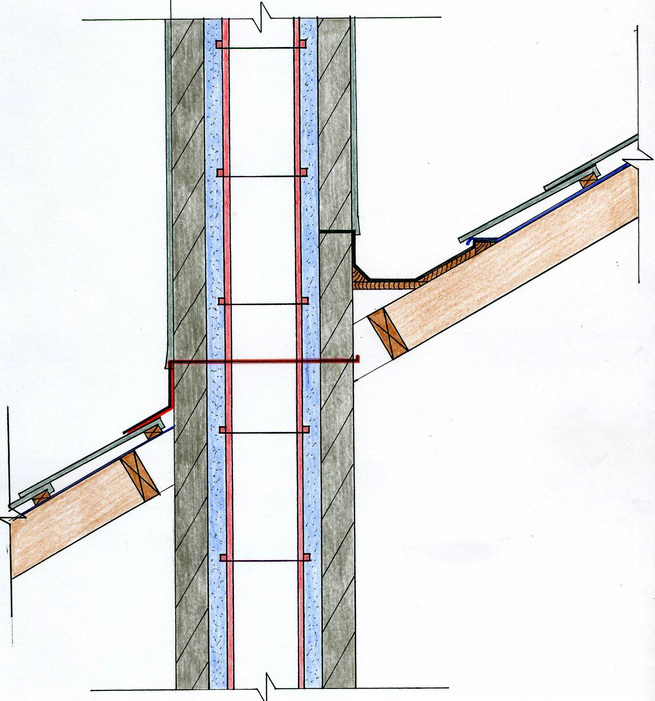 This will occur if the chimney is at least one meter higher than the highest point of contact with the roof. This video shows the most effective approach for drafting the drawing of a chimney through a roof detail.